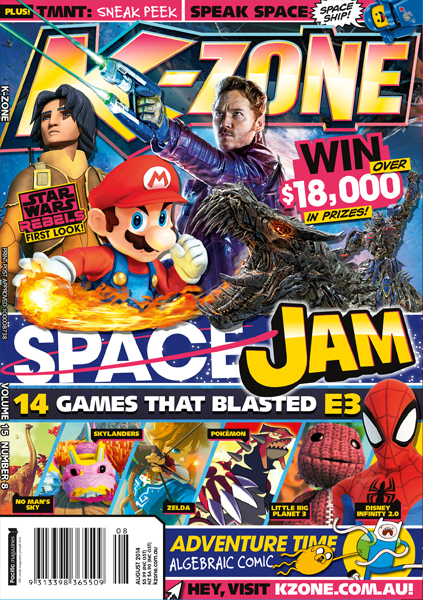 K-Zone: Space Jam! Win over $18,000 in prizes, get the first look at Star Wars Rebels plus our E3 rundown! Cool Story Bro: check out the weirdest celeb backstage demands, including K-Zone Editor Dan! 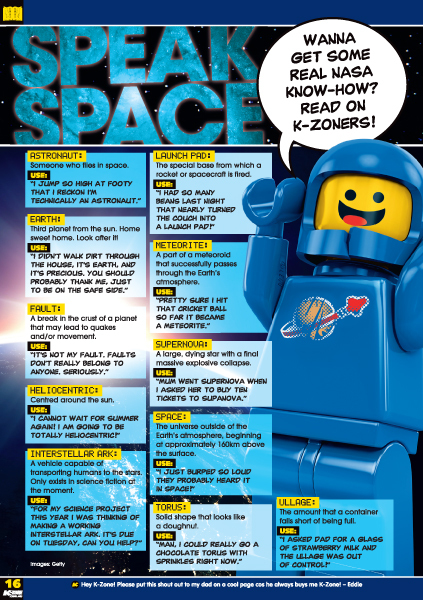 Space Speak: K-Zone's guide to getting the full NASA lingo down pat. 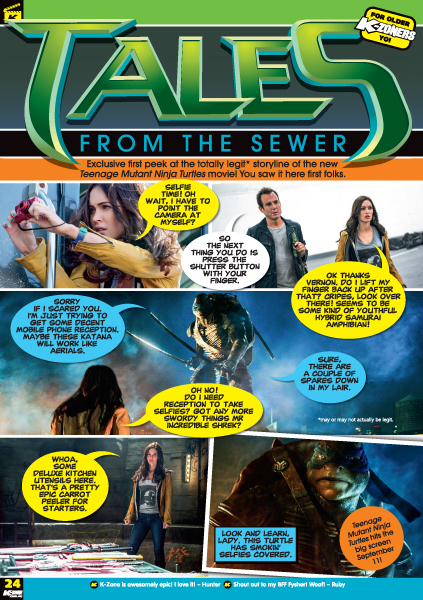 The Teenage Mutant Ninja Turtles movie is out soon. 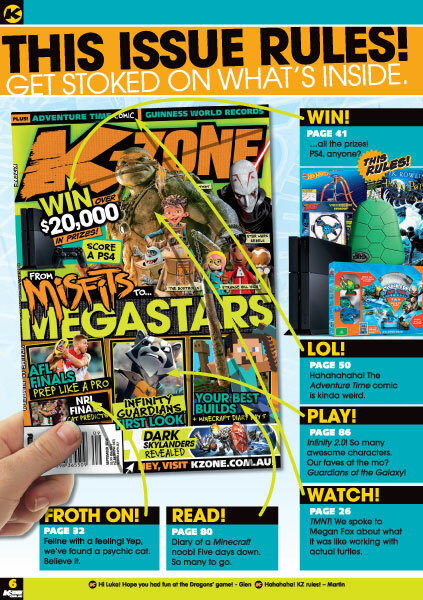 K-Zone reveals the movie's plot! Or not. 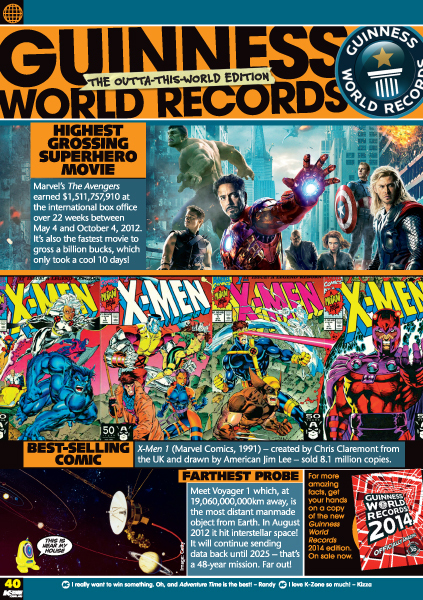 Interspace Guinness World Records: best-selling comic, highest grossing superhero movie and the most distant manmade object! Pranks! Pranks! Pranks! 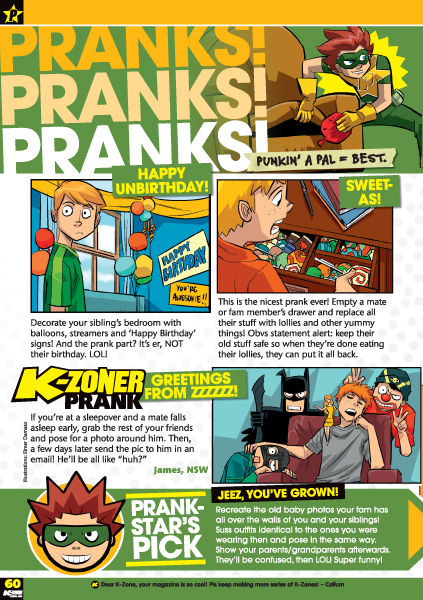 Birthday pranks, sleepover pranks, lolly pranks and more! 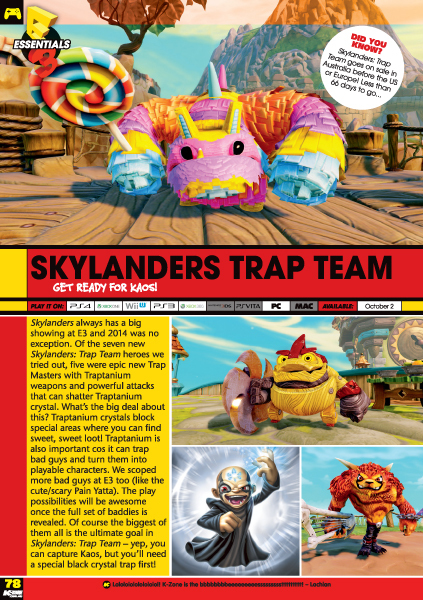 Skylanders Trap Team: What you NEED to know about the sick new Skylanders, out in October 2014! Which scooter trick is more extreme?